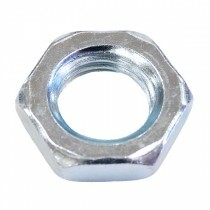 Hexagon lock nut, mild steel grade 4, bright zinc plated DIN 439. 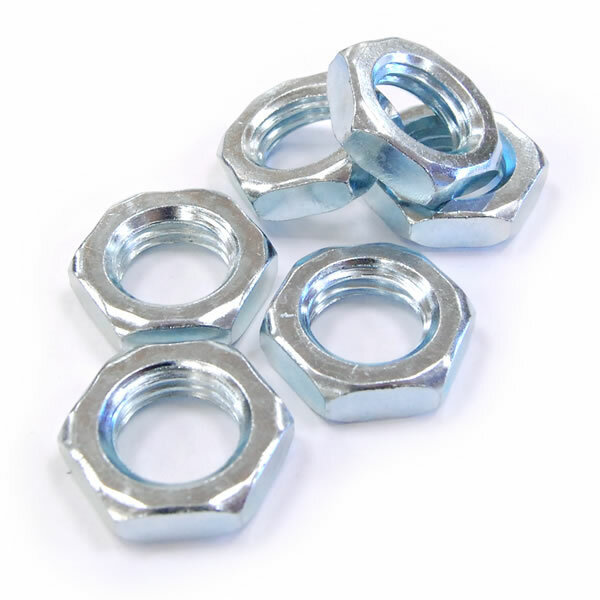 Lock nuts are often used when a nut needs to be locked into place without clamping against another object. 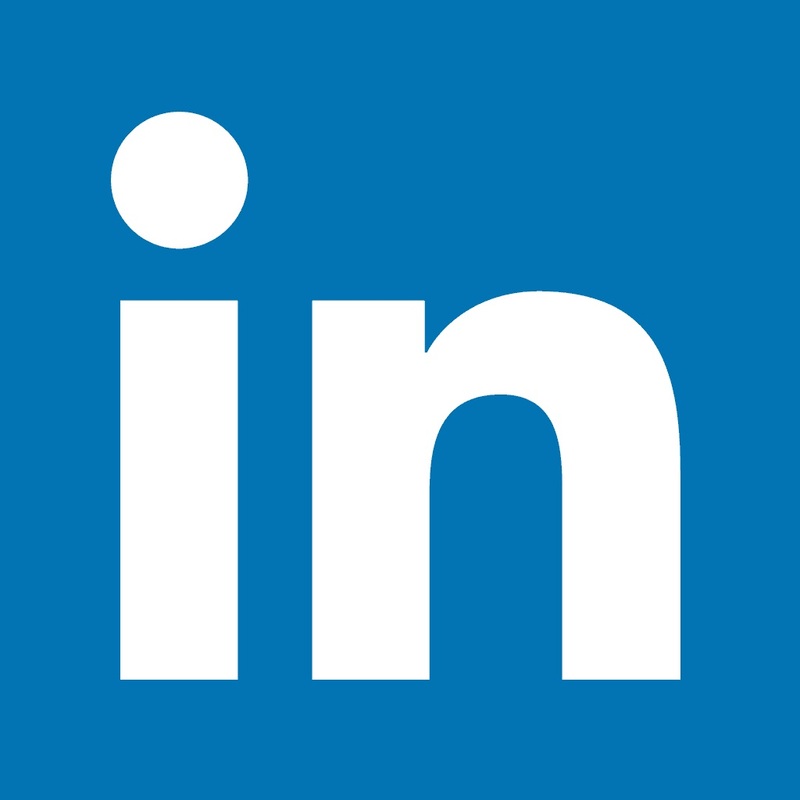 It is also used in situations where a full nut would not fit. Also called jam nuts & half nuts.